All that you experience in your life, you have attracted both the good and the bad one by your thoughts, prayers, actions, feelings and perceptions. You can change the circumstances of your life by changing the way you feel and think. Your talks and thoughts are to be checked as it directly converse with the formless Almighty (Universe). Positivity with power of forgiveness and letting go off your fear are the key concepts. Love is the most powerful energy to manifest things and gratitude speeds up the process. With immense faith in the heart, you can manifest all the wishes. Cover – the book cover is simple in blue colour giving it a peaceful look. 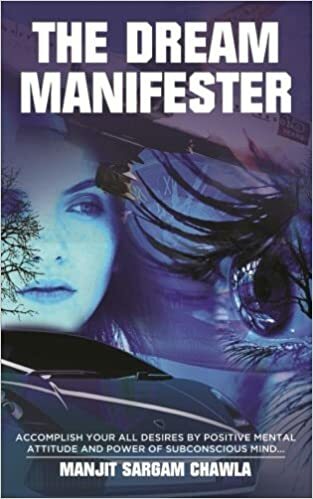 Title – the dream manifester is a guide on how to dream and fulfill all your dreams that you had always wanted to be. A short read of just 80 pages. Where you will get a power booster of positivity from the book. The book will engage you with your inner spirituality and how to pursue all those with steps to common problems and little changes that we should be making in our lives that is given. Relationships, self, weight, money and other thoughts that prevail in our heads. It will constantly remind you of to think bigger and better for yourself. A light and refreshing read which will definitely help. A story you wish was NEVER narrated to an eight-year-old. Old letters of a dead father, what secrets could they hold for a long lost daughter? A chilly December morning and a lone gravestone – changed the day and someone’s life. A seemingly ‘ideal marriage’ in an old city smelling of love. An aging alcoholic superstar finding a magical cure for his incurable baldness. From middle-class Government quarter to a posh Neeti Bagh bungalow, was there a price for this! Life would have been very different for the characters in these stories, but for the choices they make. Read these stories to know what they did with their choice. You many see a reflection of yourself. Spine chilling drama and suspense, quirky, funny and awkward moments, poetic love of hopeless romantics and a lot more is packed in the pages of this collection. 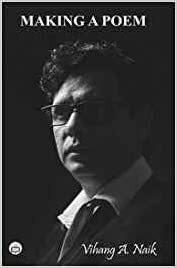 Cover – the cover is simple yet speaking alot about how the book is made up from different writers amalgamated into one book and has a variety. 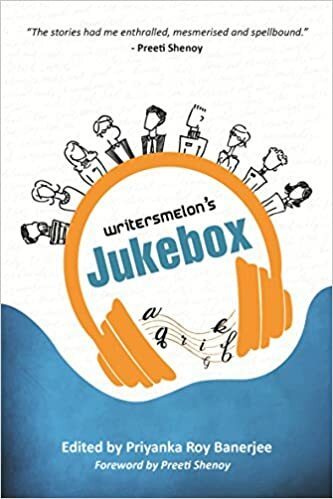 title – jukebox depicting the songs that one can listen to. The variety and the uniqueness. The book is a collection of gut kicking stories written down by various writers around the country. Each story has a different tale to speak of and to enfold a new societal norm. The orthodox, the human thinking. all the stories keep you hooked throughout the book. Alot of various issues have been discussed in the book. A short but really amazing read for those who love stories. The stories will leave you in awe. The book consists of dark secrets that will definitely give you goosbeumps, make you cry and will give you alot to think about. The foreword has been written by Preeti shenoy. The book will help you learn new words as well. Editing and other aspects of the book have been taken real good care. A must read collection of stories! 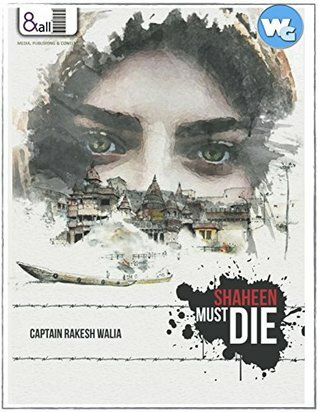 Shaheen Must Die: A Thrilling Military Love Story set in Exotic Kashmir- By Captain Rakesh Walia. Cover – the cover tells you about a tale of soldier and wars. Characters – captain Rakesh walia is the protagonist,his son- mohit, Arijit and shaheen. Characterization has been done well. Pace – the story moves in on a medium pace. Themes – war,love for the nation, family bond. The book revolves around how one should never give up. There are instances in the book that will make you teary eyed between the father and the son. Emotional ups and downs given in the story really adds to the beauty of the plot. language is easy to understand. The book feels like a thriller movie happening in front of you. War incidents have also been put up in the story which adds up to it. This being the second book by the author alot of improvement can be seen. The book is a short read. Making A Poem is a powerful affecting collection of poetry that sheds a fascinating light upon the writing process and poet’s personal aesthetics. These are eloquent pieces where the poet displays a confident command of the poetic form to bring his ideas and observations to life. The pieces that ponder the reality of poetic expression are perhaps most fascinating. Their reflexivity results in a most engaging collection of poems. Making A Poem is an intuitive, thoughtful and creative pieces that work together as a cohesive collection. COVER- The cover is in black colour with an intense photo of the author, which gives it a different look. TITLE – title is really apt and catchy of how the process of writing a poem is all about. BLURB- is crisp giving information about the poems. The book is divided into 5 sections- 1)Are you looking for that poet 2) A poet as a young man 3) making a poem 4) a poem comes alive 5) a poet. The poems varies in length and meter. Mostly consisting of short poems that are gut kicking .The beauty of this book of poems is each book tells out another story in simple words that will gulp down so many emotions in you. Every poem is another chapter of a poets life on how they write and put down a poem the struggle, the ease, the absent, the forgotten poem. The poems say alot in less words that is the beauty. This book will not let you down it is must for every poetry lover. One will relate to alot of poems. All the poems are beautiful and easy to understand. The imagery formed by each poem is really blissful.